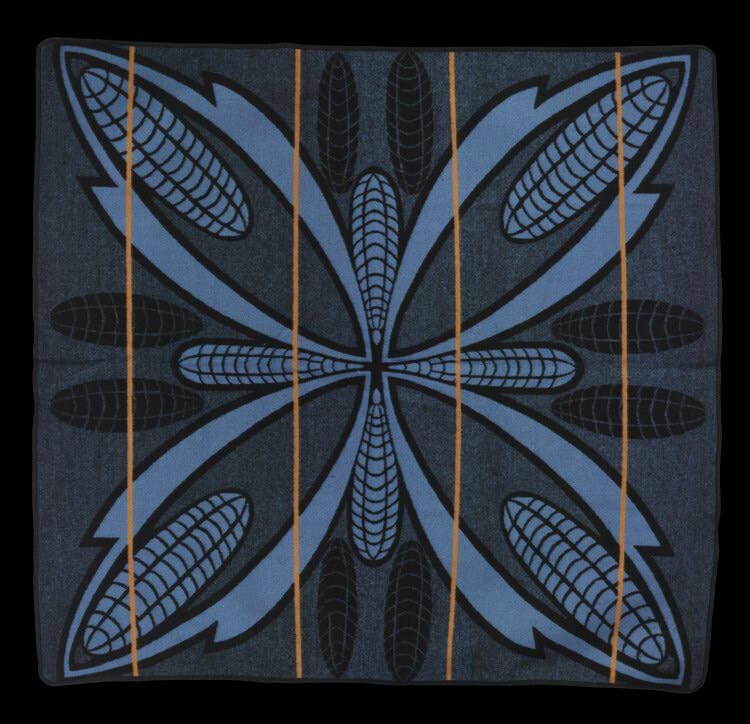 Seeing the image of John Blanke for the first time immediately put me in mind of the Seana Marena or 'King's Blanket' which the great southern African King Moshoeshoe 1 (c.1786 - 1870) adopted for his people, the southern Sotho. After all, apart from John Blanke himself, what could be more African than the six lions of Henry VIII's royal standard hanging from Blanke's trumpet? In the early nineteenth century King Moshoeshoe by turns made alliances with or fought against the British, the Boers and the Zulus to lay the foundations of what became the independent nation of Lesotho, the mountainous 'Kingdom of the Sky'. Towards the end of his life Moshoeshoe met the Scottish trader Donald Fraser and made arguably the most significant decision of the many extraordinary feats he had accomplished on behalf of his people. He ordered a consignment of blankets which Fraser had brought with him, even though a fault in the Jacquard weaving process with which they were manufactured appeared in lines running vertically down the finished product. 'Your majesty, if you order a thousand of these blankets I will make sure that the fault lines which you see on these samples are removed,' said Fraser.